Our school activity days out are designed to make your educational visits a success. This unique Site of Special Scientific Interest (SSSI) offers an inspiring day out for schools and colleges. Gorge walking/ghyll scrambling, caving, abseiling and the Ultimate Via Ferrata courses all take place on-site at How Stean Gorge and our canoeing and off-site caving sessions are only minutes away via our own minibus. 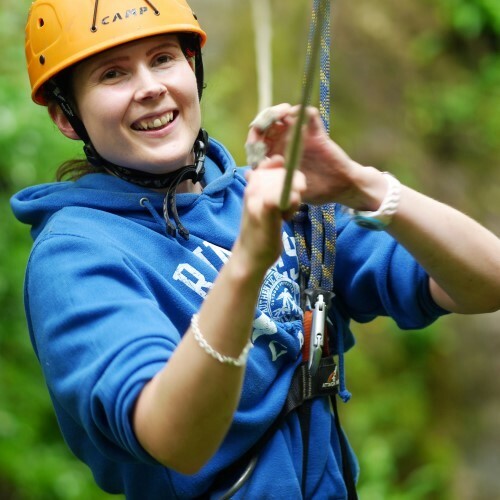 How Stean Gorge’s team of outdoor instructors are professional, friendly and have a great amount of experience with groups of all ages and abilities. All of the team hold numerous National Governing Body awards, Outdoor First aid qualifications, and some are qualified teachers themselves! Risk assessments are available for all activities. If you wish to complete your own risk assessments please contact us to arrange a visit.